I knew that at some point in time I would leave Russia, I knew that at some time money would change hands and that the visa problems would suddenly disappear, …… I just didn’t know ‘when’ or ‘how much’. If I didn’t make this ferry crossing, then I would make the next, …. or even the next, but looking on the bright side, ….. I’ve been stranded in far worse places than Zarabino. For the past three weeks I’d been aware of two German bikers following several days behind us along the Amur Highway. Hans and Volker had contacted us on the Internet forum ‘Horizons Unlimited’. I’d passed information onto them about road conditions and exit strategies and they had reciprocated with information of their own. 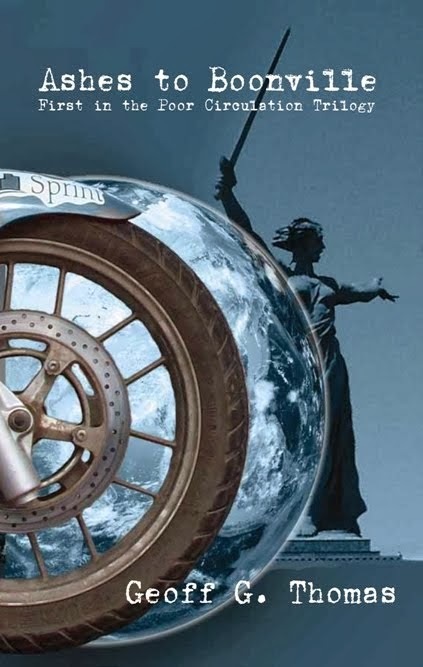 Through the motorcycle grapevine In Vladivostok I’d heard that one of the pair had suffered injuries in an accident, …. but I had no more information than that. Whilst waiting at the port of Zarabino, two BMW F650 GS Dakar’s arrived, … on board were Hans and Volker, … the German pair had caught and were now about to overtake Poor Circulation. Hans had been caught in a storm at the end of the Amur Highway, a branch from a tree had been broken by the wind, … the branch had crashed down onto his helmet piercing the shell and knocking him out, … Hans had spent several days in hospital. The Amur Highway had claimed another victim but thankfully this time both bike and rider were still in pain, but back on the road to recovery. They gave us news of Dan, a rider who’d been catching us along the road before crashing his KTM Adventure. 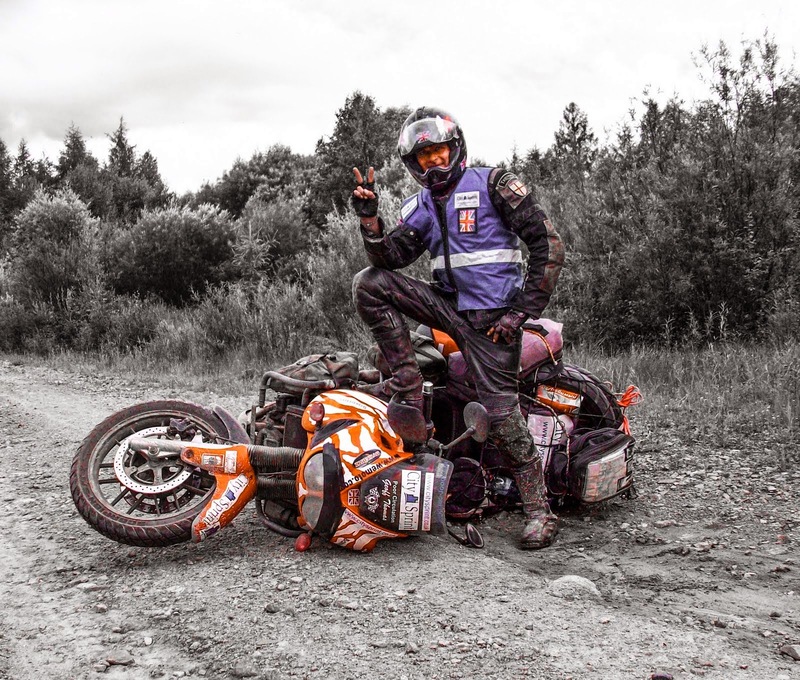 Dan was now in plaster and resting in Vladivostok, .. his bike ‘Damaged-Repairable’. We told them of Charlie’s progress, an Australian BMW rider heading west towards London who we’d met at the Amur’s most northerly point. Charlie had fallen several times and had torn knee ligaments but he’d now passed through Chita and onwards to the safety and beauty of lake Baikal. Volker mentioned the ‘Brazilian’ who’d also crashed on the Amur, … we smiled and told of our encounters with ‘Arroganto’ at Vlad Moto Workshops and how his Yamaha was now in need of serious surgery, .. though Rodrigo himself was in the rudest of health. Judging from the adventures and mishaps of other riders, it seems that the Amur Highway is a little tougher than I’d thought. 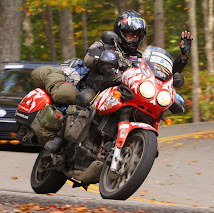 Or maybe it’s just the Triumph Tiger that is even tougher and more capable, …. perhaps it’s time that I showed it a little more respect. Hand and Volker were great company, we killed time together while we waited for a resolution to our visa challenges, we shared stories, we laughed and we joked. We watched as the much-discussed Brazilian rider arrived with his entourage, … no doubt wondering why no red carpet had been laid in preparation for his departure. I introduced Hans and Volker to ‘Heaven’, a girl travelling from Glasgow back to her native Korea on the Trans Siberian Railway. A girl so beautiful and so full of life that we all just wanted to pick her up and take her with us. Heaven would be travelling in Korea and offered us free and unrestricted use of her apartment in Busan while she was away. We’d known Heaven for less than five minutes and had been offered open access to her home, ….. welcome to ‘Travelling’. Great. Now I can feel at ease about crossing the Amur this coming summer.